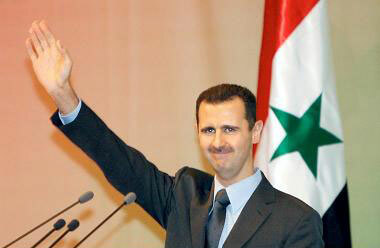 Syrian Col. Bashar Al-Assad has stated that Israel is committing a mistake if it thinks its unilateral withdrawal from Lebanon is equivalent to peace with Syria. 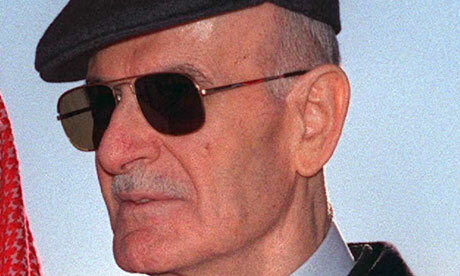 Although he welcomed Israel's intention to withdraw from south Lebanon, he warned Israel that its withdrawal would not hide the many problems which are still pending in the peace process, especially the Syrian demand that Israel has to return back the whole of the Syrian Golan. 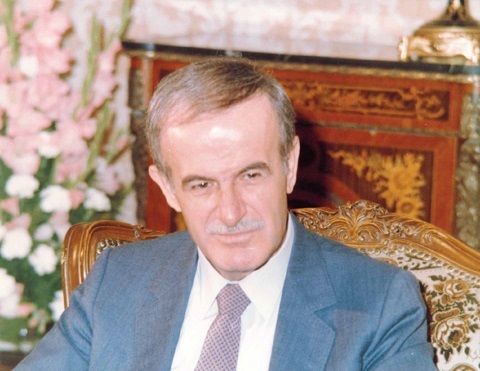 In an interview reported on 4/27/200 with the Wall Street Journal ( Interactive Edition) , the first interview by the Western mass media with him, Mr. Al-Assad said, "Syria supports a withdrawal, but within the framework of a comprehensive peace," adding that "in the absence of a treaty it will inflict problems that might provoke tensions and problems in the future." The Wall Street Journal added that during the interview he stressed that Damascus cannot control the Hizbollah Party because this is not "our business, rather the work of the Lebanese government." He asked, "Will Israel guarantee it will not shell villages and homes?" 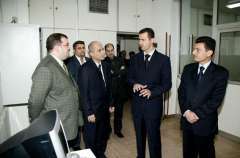 Col. Bashar Al-Assad, the son of Syrian President Hafez Al-Assad, told the London-based Al-Wasat magazine that the postponement of peace has negative consequences on the countries of the region and on several interests, especially on countries which are directly involved in the conflict. He said this does not mean accepting a peace which does not ensure the stipulations of real peace, because such a peace means keeping the seeds of conflict and instability. 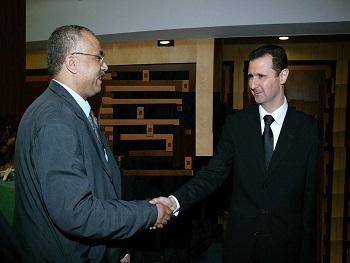 On the wave of pessimism which came following the failure of the summit, Col. Bashar said the pessimism which followed the Geneva summit between President Al-Assad and US President Bill Clinton exaggerated, and this is because certain sides believed this summit would complete (solve) the peace process as a whole, adding that there were others who described it as the "last chance" summit, "which is not precise." Col. Bashar continued that the last chance is that in which ultimate peace is achieved, "and we are awaiting such a summit" to be one of the main stations in the continued peace process. He said the Geneva summit had re-clarified what has been originally clear which is "Syria's rejection to give up one inch of its territories." In remarks on the Syrian persistence on the withdrawal of the Israeli forces from the occupied Golan Heights to the June 4, 1967 border lines, Al-Assad said, "The question of the land is a question of sovereignty and honor. 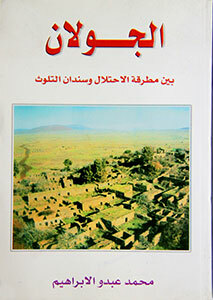 The land (value) is not measured by economic or real estate considerations," adding that Syria will not give gifts of that sort and that US President Bill Clinton himself understands the "importance of this element for us." Replying to a question on talk of Syria being in a hurry to close the file of the peace process in order to close internal files and the possibility of succeeding his father as the head of state in Syria, Bashar said: "What is the relations of being in hurry to achieve peace or assign this position to this person or that? 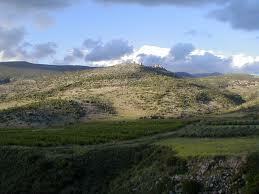 Incomplete peace does not serve any objective nor any person, whoever, to rule in the future." 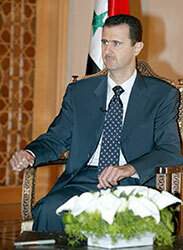 On increased talk of changes in Syria Col. Al-Assad stated that the change in Syria is a conviction created by a thorough reading of the economic conditions and the developments taking place in the world, adding that the change cannot be made by a decision and that the treatment which comes in stages is better than shock therapy.